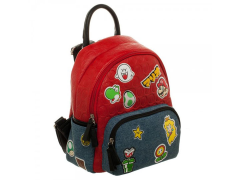 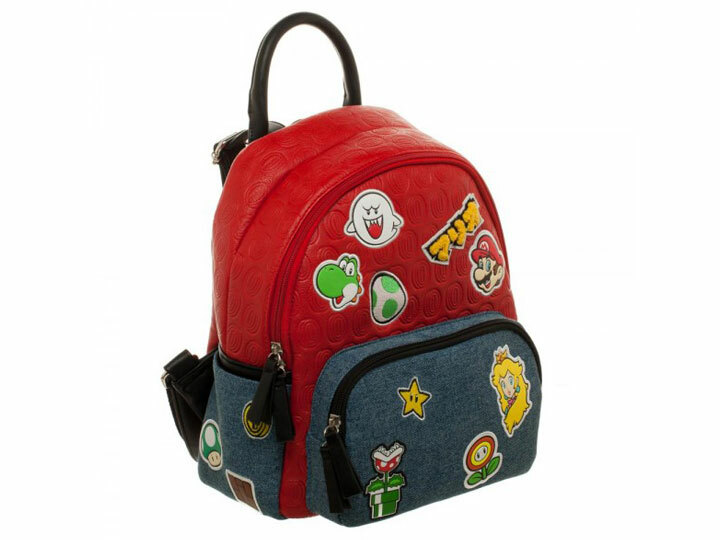 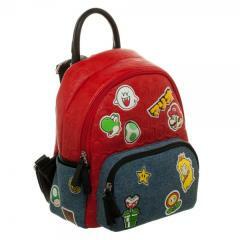 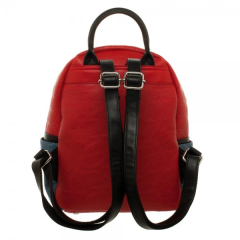 Power up with this fun red PU and blue denim Super Mario Brothers character patches mini handbag and backpack! 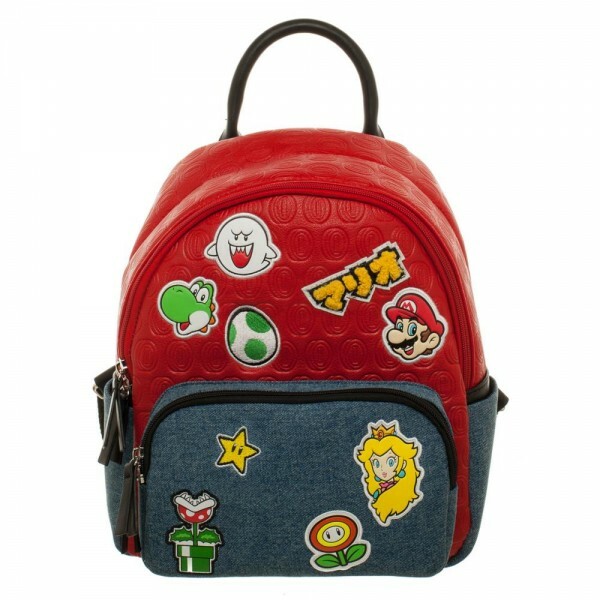 Appliqued patches of Princess Peach, Mario, Super Star, a Fire Flower, Yoshi, a 1-Up Mushroom, a Boo, and more adorn this cute and practical bag. 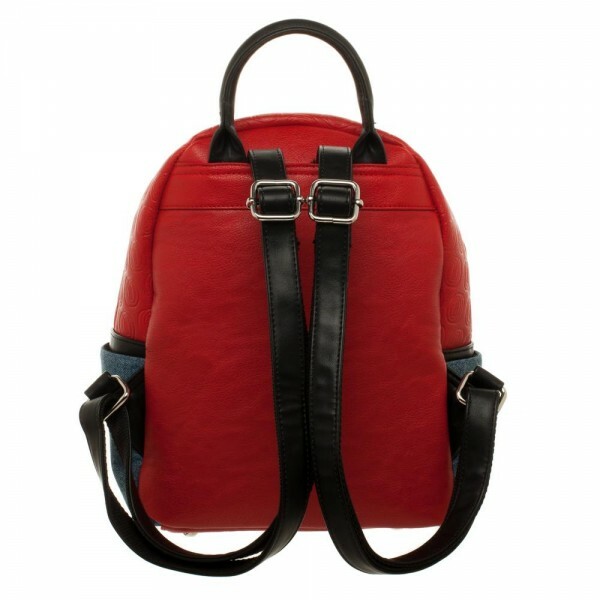 Features a front zippered pocket and interior zippered pocket for extra organization, plus a top carry handle and adjustable padded shoulder straps.